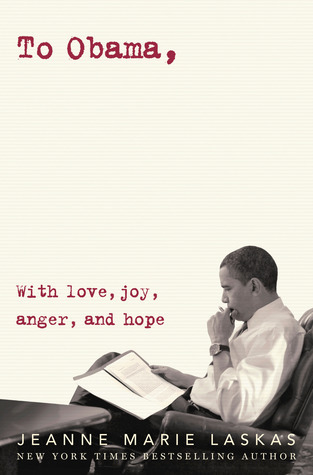 Go to your calendar, right now, and mark January 2nd as the day to buy this book! I'm going to be totally upfront and honest, you will want this book - trust me. This is probably one of the best surprises I've read in awhile. Yes, I was intrigued to read it when I first heard about it. I think everyone has been. But I didn't realize just how GOOD it would be. I devoured this book in less than 24 hours, which is ironic because the entire story takes place in exactly 24 hours. It's a fast paced, well thought out storyline that kept me turning the pages. The ridiculously long title is probably the best aspect of the story. And you won't know it until the very last page, which makes it even better. Hadley misses her flight to London by 4 minutes. It's those 4 minutes that change her life forever, but she doesn't realize it until much later. While waiting to board the next flight, she encounters a tall, charming British young man by the name of Oliver. He comes to her rescue (in more ways than one) and the two strangers slowly open up to one another in the airport terminal. If things couldn't be more ironic, the pair end up sitting side by side on the flight to London. Their lengthy conversations continue, mainly focusing on Hadley and why she is making the trip across the pond. She's the guest of honor for her father's wedding. A marriage that she is not in favor of, because it solidifies the end of one chapter of her life, and the beginning of something she's not quite ready to face. The rising anxiety is quickly kept at bay by Oliver's knack to ask outlandish questions and give interesting stories to keep Hadley's mind off her fears of being in confined spaces. As their plane stretches out across the ocean, so does the obvious connection between Hadley and Oliver. When the two not-so-quite strangers anymore find themselves at customs in the London airport, they are forced to say a quick goodbye. Hadley suddenly realizes she's not ready to let go of Oliver. She also realizes that she knows nothing about his reasons for coming to London, where he'll be staying, and for how long. The entire plane ride was focused on her troubles with her father's wedding, and her ill feelings about their distant relationship over the last year. In a blink of an eye Oliver is gone and Hadley is left standing in the airport, realizing she may have just missed out on one of the best moments of her life. This book took me by surprise, as I said before. I was not expecting the depth of emotion that it possessed. Hadley's relationship with her father and their past played a heavy role through out the story. It sets the back drop for Hadley growing close to Oliver, a complete stranger that she feels compelled to tell anything to. I love the idea of the "what ifs" in life. What if Hadley had made her original flight? What if Hadley decided to never even go to her father's wedding? If none of that happened, then Oliver never would have happened. The writing moves the story along at a steady pace. Since it's set during 24 hours, you're constantly watching the clock, knowing it will end soon - but how? I know for a fact this will be a huge hit among the YA contemporary fans. It's definitely left a lasting impression in my heart. I read this book as if I was watching a movie. Each scene playing out as two people on the big screen. I visualized Hadley's urgency, as well as her hesitations so vividly. I have a soft spot for British boys in YA lit as well. There's just something about that accent (even though I do a terrible version of it in my head). I loved Oliver's personality. He was so content on helping Hadley, making things easier, better for her. Yet he had his own personal demons he was battling with too. 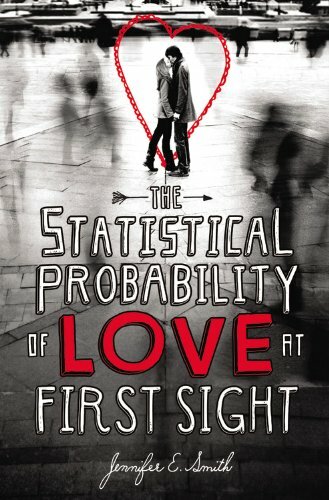 The Statistical Probability of Love at First Sight is a must read for 2012. Mark your calendars. Request an early copy. Do what you need to do. You don't want to miss out on this book, it was most definitely love at first sight for me. Sounds fab. Thanks for a great review. Can't wait to find out how it ends. I totally agree... this book had a whole depth of emotions that I wasn't expecting. I think that Hadley and Oliver's relationships with their families made this book so much more than a cute romance! Going to my calendar to do as I was told :) Fab review and I am definitely interested in this book. I'm thiiiiiiiis excited for this book. It sounds like a perfect book for me, it's set over a short span of time, deals with destiny, has a ridiculously long title and A BRITISH BOY! Great review! I am already a fan of that brilliant cover! This definitely sounds like a book I want to be reading! Oh, I like the sound of this one. Haven't read a book set in 24 hours. Adding this to my TBR pile. AHHH! Awesome review Ginger! I will be sure to pick this one up and read it when I can buy it!!! I'm so happy you loved it...the title really had me wanting to read it! I already wanted this, and now I want it even more. Yes, I did request a copy.... We'll see...Great review! Thanks. I am absolutely DYING to read this book! Great review chick!! I have this on my tbr list already! It sounds amazing. wow, I had kind of discarded this one as a soppy romance but I think I need to read it now! Also the US cover (or what I assume is the US cover) is much nicer than the UK one! This story is about coincidences and the chances life has to offer in these rare magic moments of fate. Hadley and Oliver make you constantly sight. So instant their immediate connection is, so absolutely sweet it is at the same time. I couldn’t resist Oliver either. He’s handsome, British, ironic and comical.